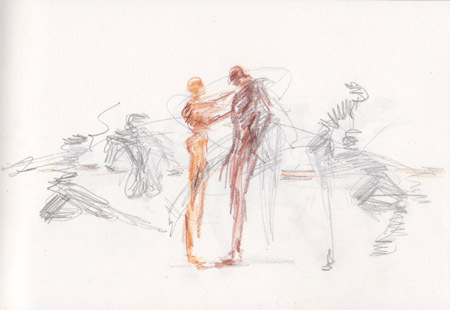 “Our relationship to the urban environment, the complexities of group memory and the cyclical nature of evolution” are questioned and explored by New Movement Collective during the promenade performance of Collapse in the lesser known spaces at the Southbank’s Royal Festival Hall. 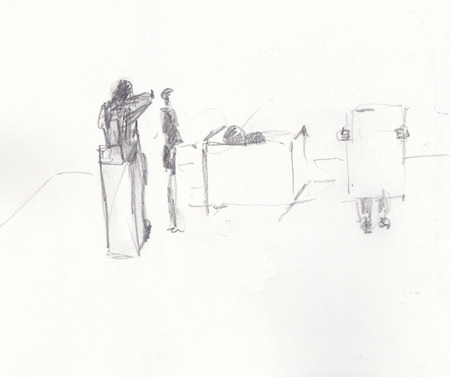 I was invited to a rehearsal where I made some quick sketches, this will be a fascinating and immersive performance. 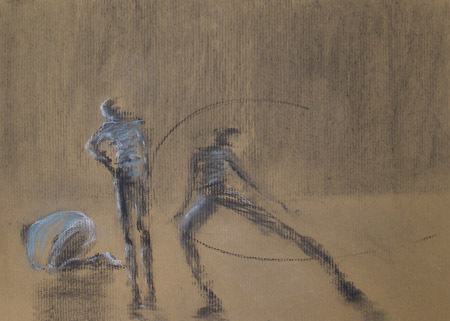 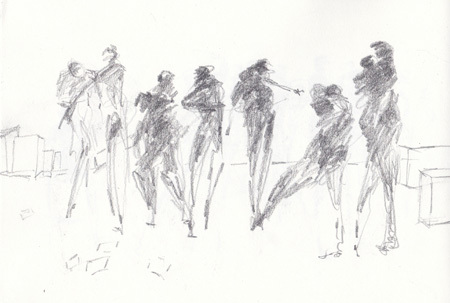 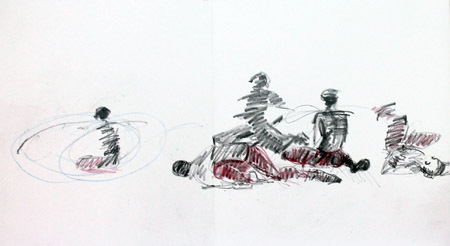 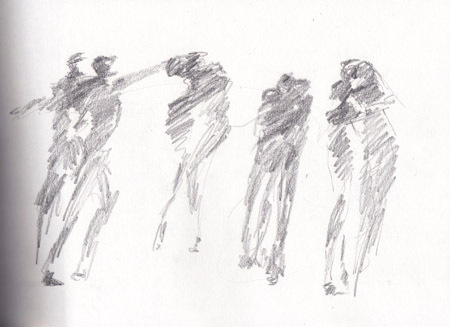 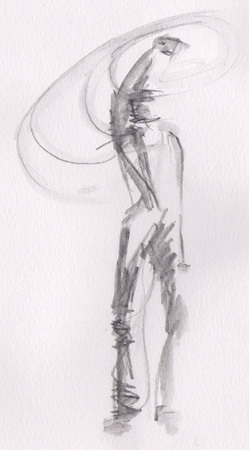 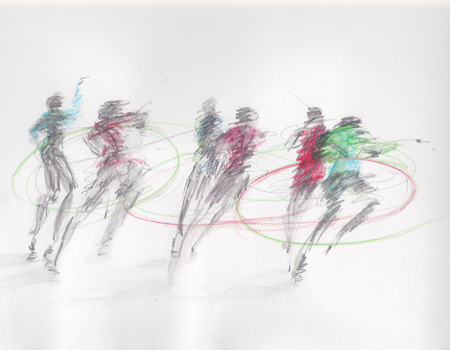 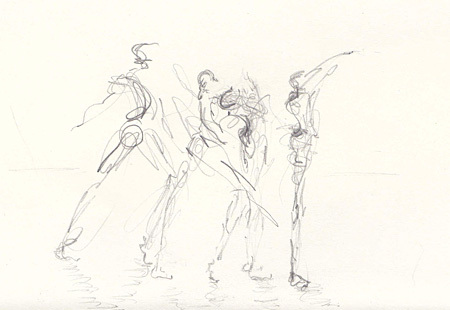 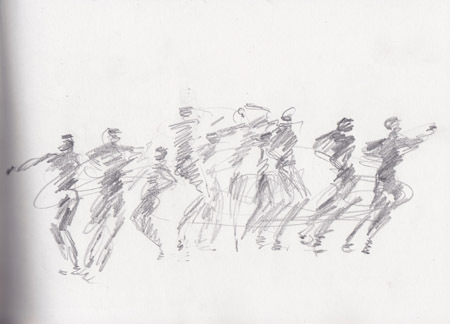 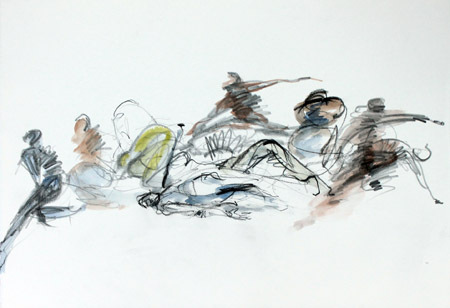 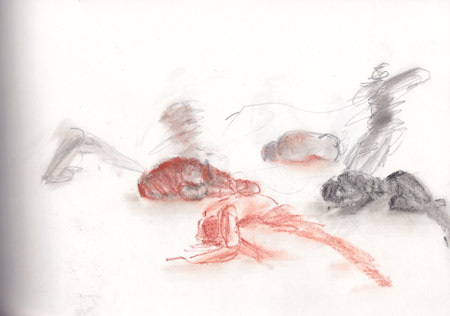 I have been drawing Gwyn Emberton Dance during rehearsals for My People, at Greenwich Dance. 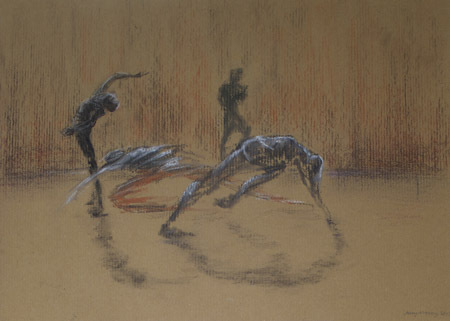 This dark turbulent dance takes it’s name and inspiration from Caradoc Evans‘ collection of controversial short stories written in 1915. 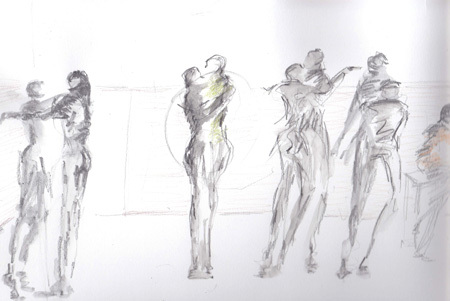 The six dancers, Gwyn Emberton, Federica Esposito, Albert Garcia, Anais Michelin, Ryan O’Neill and Rachele Rapisardi transport the audience through strong flowing movement to the turbulent village life of Manteg. 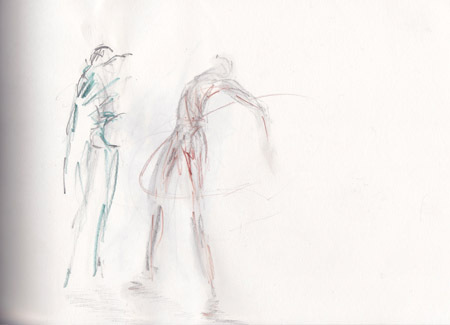 Choreography Gwyn Emberton, music composed by Benjamin Talbot and Tic Ashfield. 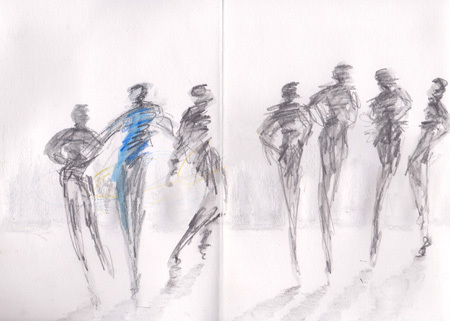 Lighting design, Aideen Malone and costumes by Neil Davies. 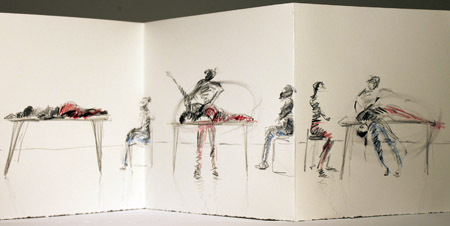 Performances: Alra Theatre London 7th, 8th April. 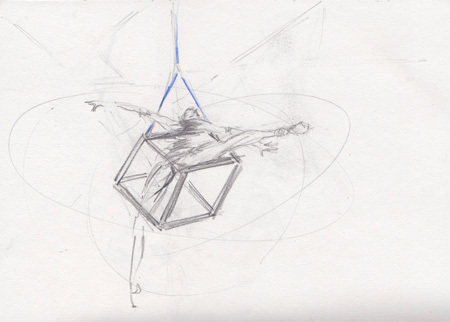 Candoco Dance Company will perform Jérôme Bel‘s award winning The Show Must Go On premiering at Sadler’s Wells, 20 & 21 March. 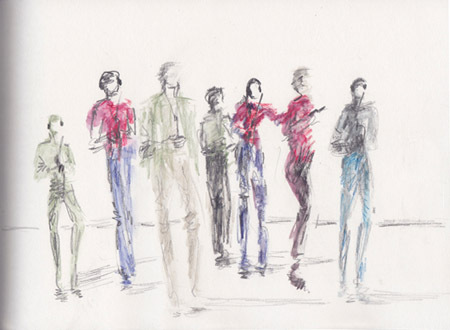 20 performers, 19 pop songs and 1 DJ. 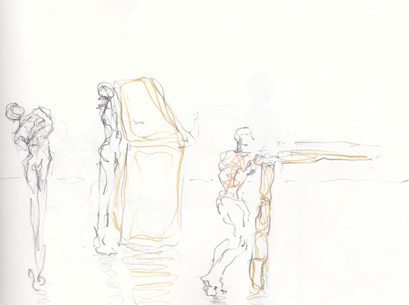 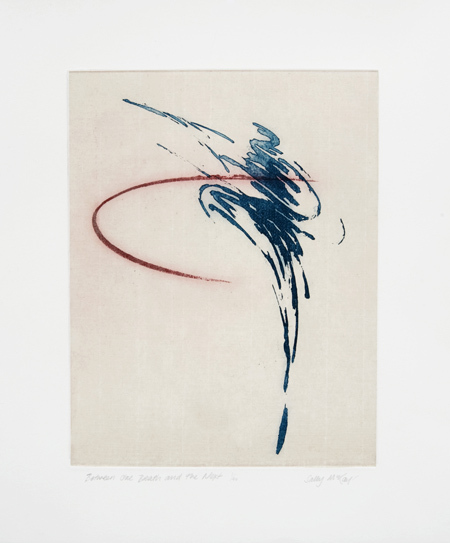 This week I was very pleased to be in Greenwich Dance drawing rehearsals. 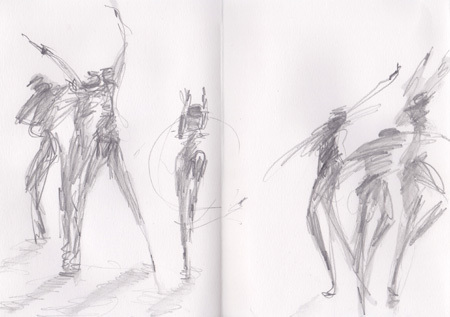 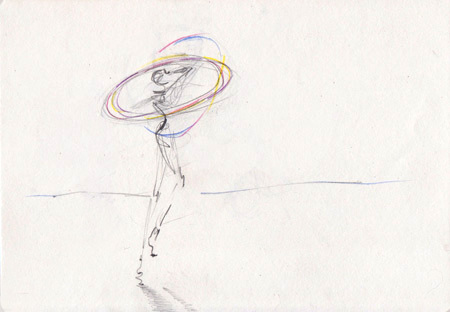 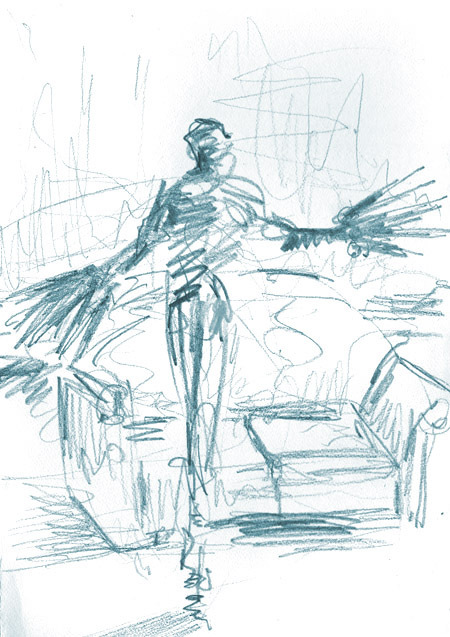 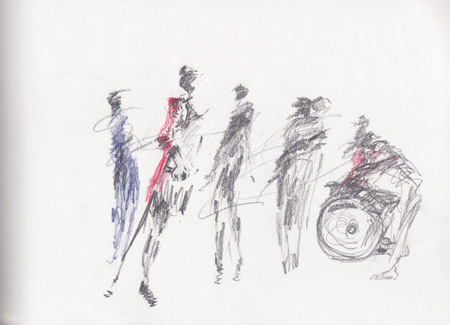 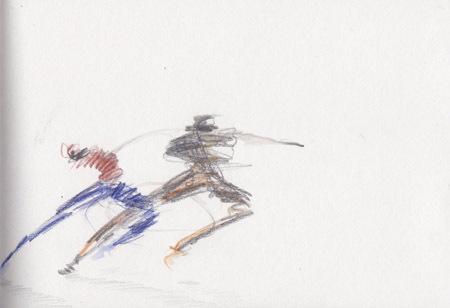 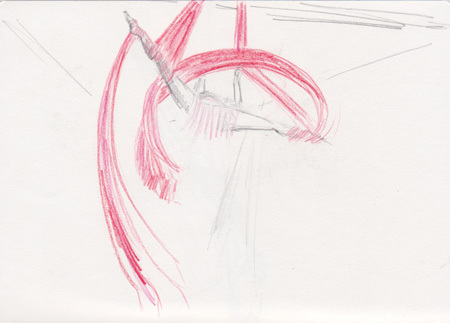 I’ve been privileged to draw at some rehearsals of Renaud Wiser‘s extraordinary dance Who Killed Bambi? 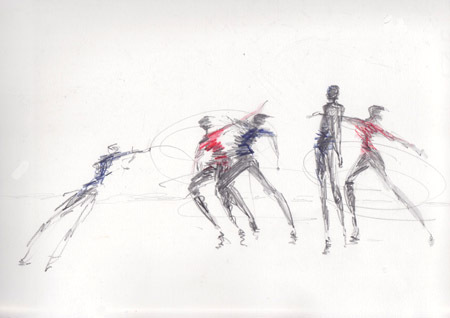 The London premier will be at Greenwich Dance tomorrow evening. 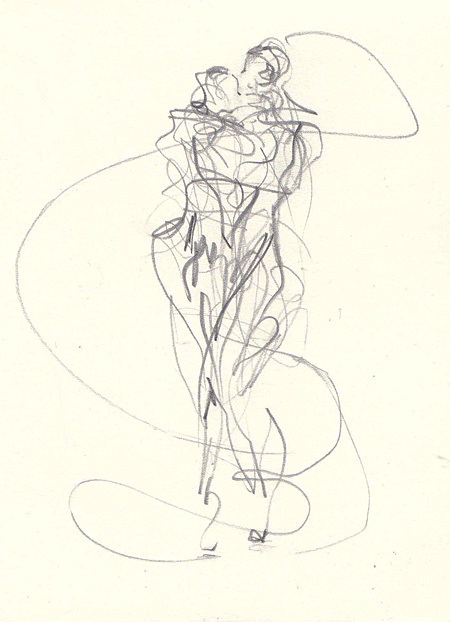 A few of my scribbles will be on show in the pop-up bar.